2013, what a year! Kim Jong Un did in his uncle, and then (reports say) his uncle’s entire family. Miley made twerking cool again (it’s not just for drunks at weddings anymore). Pope Francis took over after Benedict handed in his walking papers. Assad became the queen of denial, and Edward Snowden (if that IS his real name) decided the jig was up, and pulled back the curtain. There’s a new prince–George, I wonder if he’ll get a chance to check out his namesake town in BC (bring an umbrella, wot). 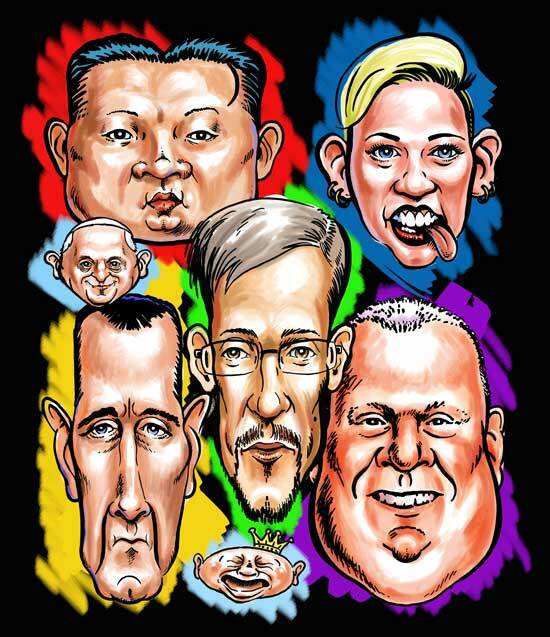 The biggest hit of 2013 (Justin Bieber is really jealous) was Rob Ford. you just can’t unhear the things he said.